Mobile learning is predicted to be the most disruptive game changer in 2014. It offers many advantages to e-Learning, such as convenience and accessibility. 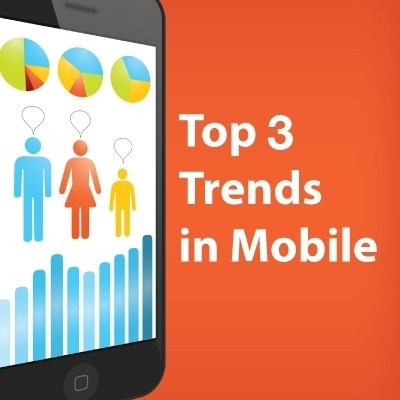 So what will be some of the biggest trends within mobile learning? Wider adoption of mobile learning - and BYOD - in workplaces to improve productivity. Cisco surveyed office workers globally and 66% reported that they expect IT to allow them to use any device to access corporate networks, applications and information. A 2013 survey of mobile learners showed that 99% believed the mobile format and presentation enhanced their learning. Even better, 100% said they would complete more training in the mobile format. As demand from workers increases, more and more companies will need to adopt mobile learning.The Towards Maturity Benchmark study shows that expectations of what mobile can add to learning outcomes are at an all time high; 8 out of 10 L&D professionals expect mobile technology to help staff access support at the time of need. 8 out of 10 also believe mobile learning will increase employee engagement. Mobile learning is prevalent in traditional classrooms too. Studies show that faculty believe students are more motivated by lessons that incorporate iPads (compared to those who did not) and that iPad use also improved the quality of the students’ work. Richer and more dynamic learning experiences due to the evolution of mobile phones and tablets. Learning offline to increase productivity and give employees more control of their own learning. Learning offline is going to be big. Bigger than BYOD, bigger than bite-size learning, bigger than Big Ben. Okay, maybe not bigger than Big Ben.Wait a minute, you say, isn’t the point of e-Learning that you can conveniently do it online, from anywhere? Yes, of course! Or maybe not.There are many situations where people need to learn but can’t access data networks. Factory workers, travelers, workers in developing nations, commuters, workers in highly-secure offices such as banks or other institutions - all of these learners and more could benefit from being able to learn offline. However, most current learning management systems require authentication and ongoing communication to serve learning and record progress. What if there were a tool out there that allowed your learners to complete courses offline, and then sent that data back to your LMS as soon as the learners reconnected with a network? Crazy talk? Not anymore. The new Lectora Mobile allows you to do just that! Lectora Mobile allows you to easily deliver and track SCORM compliant content and gives learners access to courses anywhere, anytime – even offline. We are clearly on the edge of a mobile learning revolution. Want to start creating your own m-Learning? One authoring tool to consider is Lectora Inspire V11. This authoring tool not only publishes to HTML5, but has pre-made templates specifically for mobile devices that can help you get started creating and publishing mobile-friendly courses quickly and easily. You can also check out the mobile learning downloads in Lectora University for help getting started.